Qatar Petroleum is the hidden giant of the global energy industry, overshadowed by its neighbor Saudi Aramco. Yet, the country’s colossal natural gas resources allow the state-run company to pump more oil and gas than Rosneft PJSC or Exxon Mobil Corp.
After almost two decades of breakneck growth, the company needs to change tack. QP plans to expand abroad as domestic crude output declines and the government bars new drilling in the offshore North Field, home to the gas that made Qatar the world’s leading supplier of liquefied natural gas. QP will have no problem paying for overseas expansion. 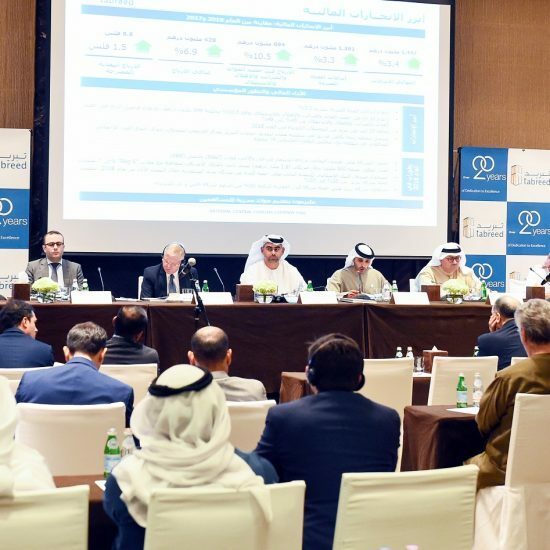 Qatar’s energy minister, Mohammed Al Sada, said this week that almost all the country’s domestic LNG terminals have been paid for. And despite a near-term glut, he said the commodity will be in short supply by 2021. What follows is a portrait of QP and its weight in world energy markets. Qatar’s energy story, as with its peers in the Persian Gulf, began with oil. The desert nation of 2.6 million residents started drilling wells in 1939 and exported its first oil 10 years later. In 1971, Royal Dutch Shell Plc discovered the offshore North Field, which, together with the connected South Pars deposit in Iran, is the world’s biggest reservoir of non-associated gas. The find was a disappointment at the time because it showed no crude. It took more than twenty years for Qatar Petroleum to partner with Exxon Mobil, Shell, Total SA and ConocoPhillips — as well as with Japanese customers Mitsui & Co. and Marubeni Corp. — to start building 14 plants that chill gas into a liquid for shipment to Asia and Europe. By 2006, Qatar was the biggest exporter of liquefied natural gas, and it shipped 78 million tons in 2015, or 32 percent of global supply that year, according to the International Group of Liquefied Natural Gas Importers. By more than doubling gas and oil production since 2006, Qatar has become the world’s fourth-biggest energy supplier and wealthiest country by per capita income. 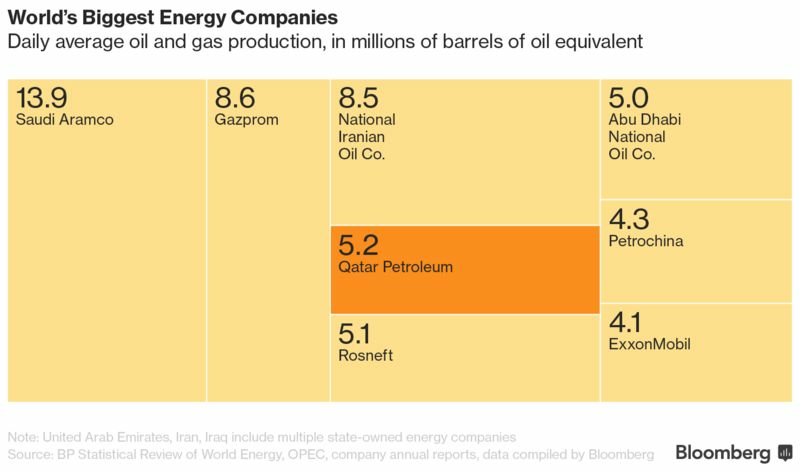 Qatar Petroleum has overtaken Rosneft and Exxon in total output, according to data compiled by Bloomberg, and the company makes and sells more LNG than any other. QP ranks behind Saudi Arabian Oil Co., Gazprom PJSC and National Iranian Oil Co. for energy production. Qatar Petroleum, through its LNG-producing divisions Qatargas and RasGas and other investments in related businesses, holds stakes in the companies that extract, process, ship and receive gas. 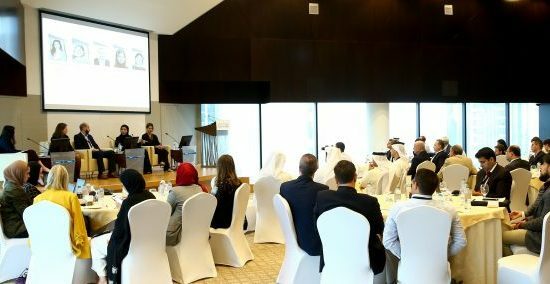 This integrated supply chain helps make Qatari LNG the cheapest in the world to produce, an advantage QP plans to exploit as competitors in Australia and the U.S. dethrone it as the top producer by volume. Qatar doesn’t have a space program, but one molecule trapped in the North Field is used by NASA. 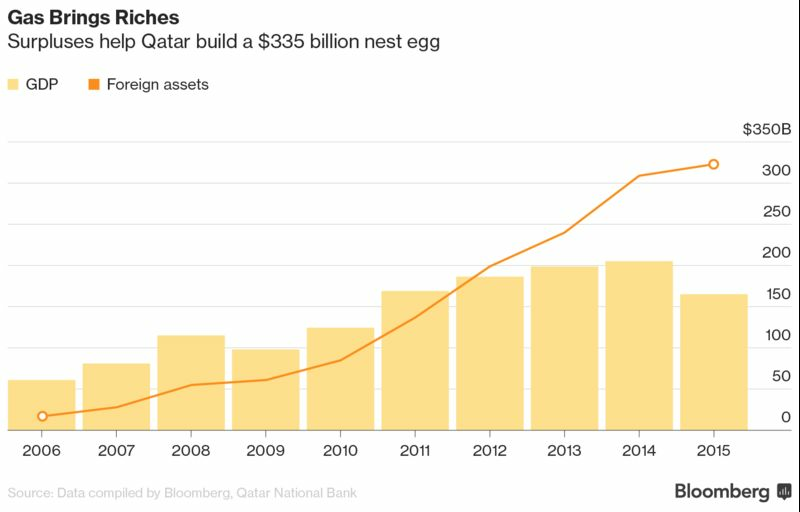 Helium has given Qatar Petroleum more to brag about as the world’s biggest exporter. RasGas, QP’s joint venture with Exxon that will be merged with Qatargas this year, has two plants with capacity of 2 billion cubic feet per year, and it’s building a third facility. Aging oil fields and a dearth of large discoveries have weighed on QP’s crude output. Qatar pumped 615,000 barrels a day of crude in January, down from a peak of 880,000 in June 2008, data compiled by Bloomberg show. 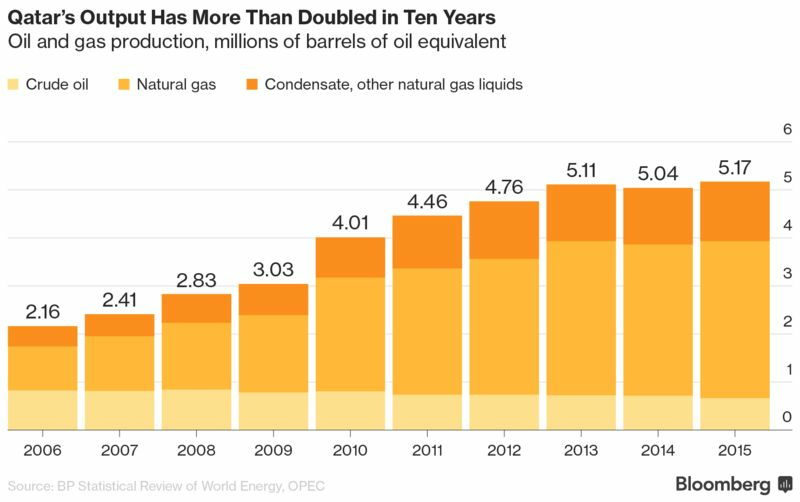 Condensate and other natural gas liquids surpassed Qatar’s oil production in 2010 and by 2015 had risen to almost double the amount of crude it was pumping, according to the data. These gains — in addition to LNG, pipeline exports of gas to the United Arab Emirates and Oman, and gas-to-liquids fuels produced in partnership with Shell and Sasol Ltd. — far exceeded the decline in crude output and have generated financial surpluses that make Qatar one of the world’s top global investors. Qatar Petroleum owns a minority stake in Nebras Power QSC, the international investment division of a local power company. Nebras, which backs wind, solar and potentially also coal projects, isn’t primarily focused on using Qatar-produced fuel to generate electricity. But its November agreement with Japan LNG buyer Jera Co. points to a strategy of building gas-fired power plants to help soak up the current glut of LNG and keep a price floor beneath QP’s main exports.